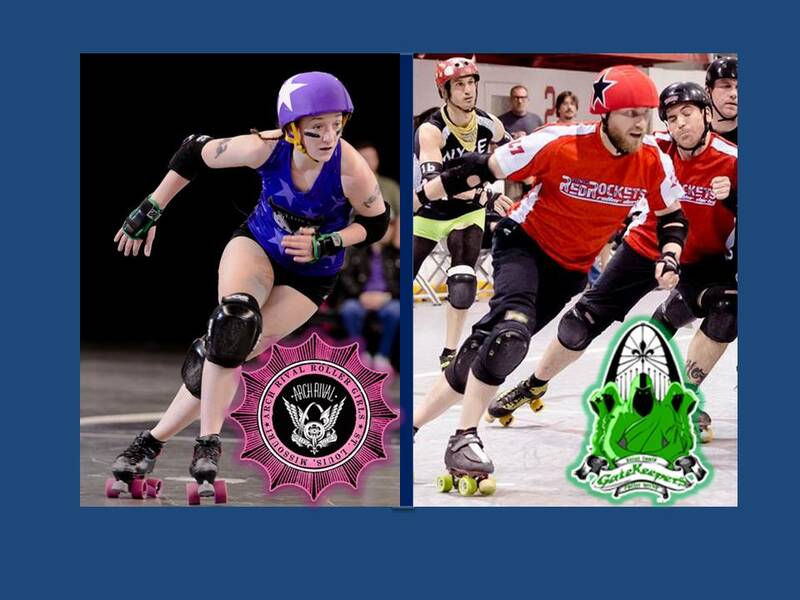 The situation seemed inevitable for the Arch Rival Roller Girls and the St. Louis GateKeepers, both high-profile representatives of women’s and men’s flat-track roller derby in the Gateway City: a joint presentation in order to showcase each respective league to a unified audience. Two weekends from now, the vision becomes a reality. The pair of St. Louis-based franchises recently announced that their respective local campaigns will both be competed at monthly events for the entire 2014-15 intraleague schedule, set to launch Saturday, November 8 at Midwest Sport Hockey at Queeny Park. Within both leagues are three local squads. Six regular season events at the indoor Ballwin facility will lead to each league’s respective championship bout, set for a twin bill at Chaifetz Arena next June. 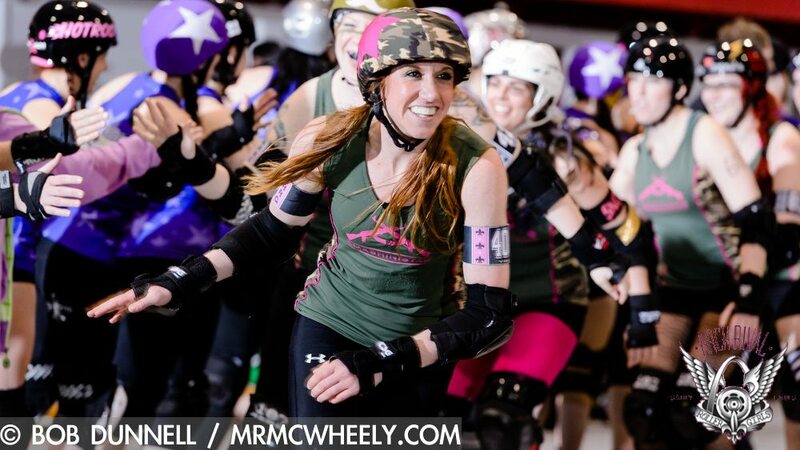 For Arch Rival, founded in 2005 and members of the Women’s Flat-Track Derby Association (WFTDA), the opportunity to present events with their “brothers in derby” should give those who are familiar with the “sisters” renewed enthusiasm. 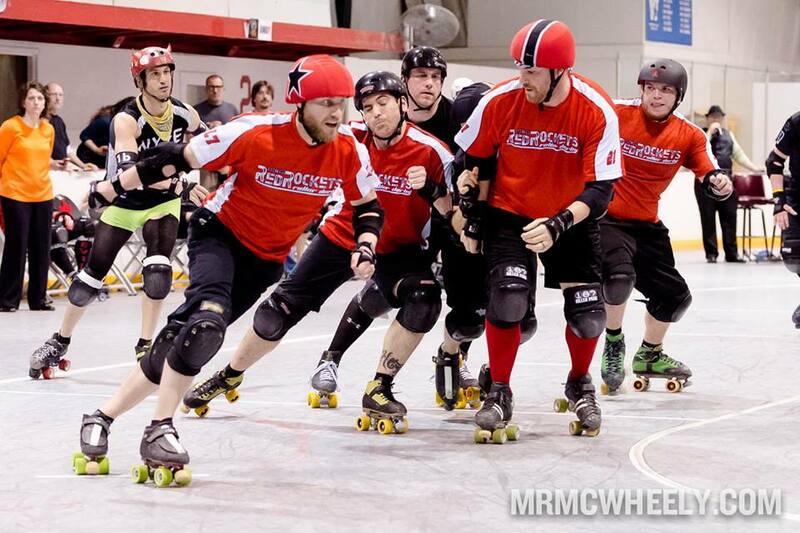 Conversely for the GateKeepers, now in its fifth year of operation and members of the Men’s Roller Derby Assocation (MRDA), the pairing should provide intrigue for those unfamiliar to the sport. Both skaters will see firsthand the new partnership in play two weekends from now at the November 8 launch. Hoffa’s local sistren, two-time ARRG defending local champs the Smashinistas, faces the M-80s while Magnum’s team, the Dogtown Rockets, meets defending GKRD “Turf Wars” kingpin, the South Grand Slammers. The two leagues’ other competing franchises, Arch Rival’s Stunt Devils and the GateKeepers’ Riverfront Crimes, wait in the wings and make their local season debuts in December. In the six-event regular season, each league’s respective teams will play each other twice, leading to renewed rivalries. 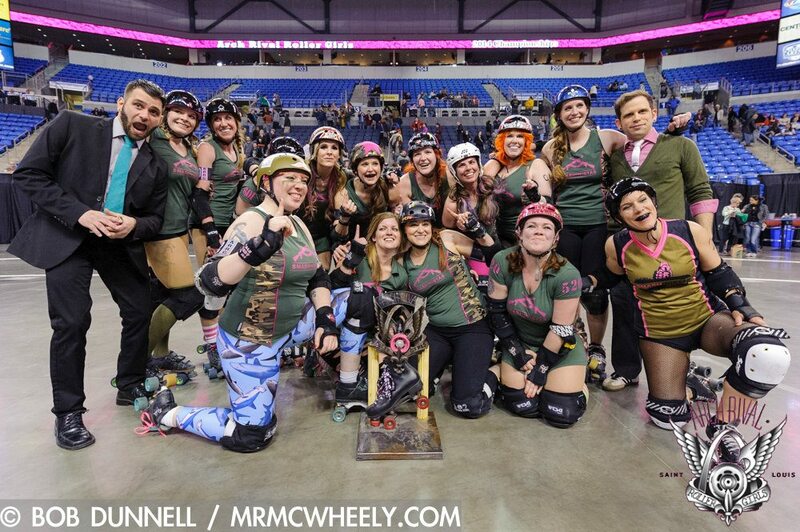 Hoffa sees how Arch Rival, which presented its local season finale in front of 2,000 this past April at Chaifetz, can bring awareness to the other gender’s representation of the sport. Likewise for the GateKeepers, Magnum anticipates his league, ranked second internationally in the MRDA, to gain traction locally, which can lead to additional interest for those who want to participate. Both leagues are familiar with each other and often work side-by-side. Skaters for Arch Rival serve as bench coaches and support personnel at GateKeepers’ events and vice-versa. Officials and outside volunteers also assist the two franchises. Bottom line, the goal is to strengthen the St. Louis-based leagues internally and to promote the sport overall externally. Both eagerly anticipates the launch two Saturdays from now. Discounted 2014-15 Season Passes, which includes double headers for the six-event ARRG/GKRD regular season, the June Championship games at Chaifetz Arena and three travel team twin bills in Summer 2015 (10 events total) are available online at Brown Paper Tickets. The 10-event season pass is available for a discounted rate of $100 by going to THIS LINK. For more information on the Arch Rival Roller Girls, go to archrivalrollergirls.com. For more information on GateKeepers Roller Derby, go to stlgatekeepers.com. By trade, he is a four-time, regional Emmy Award-winning news videographer/editor for KTVI/KPLR-TV. 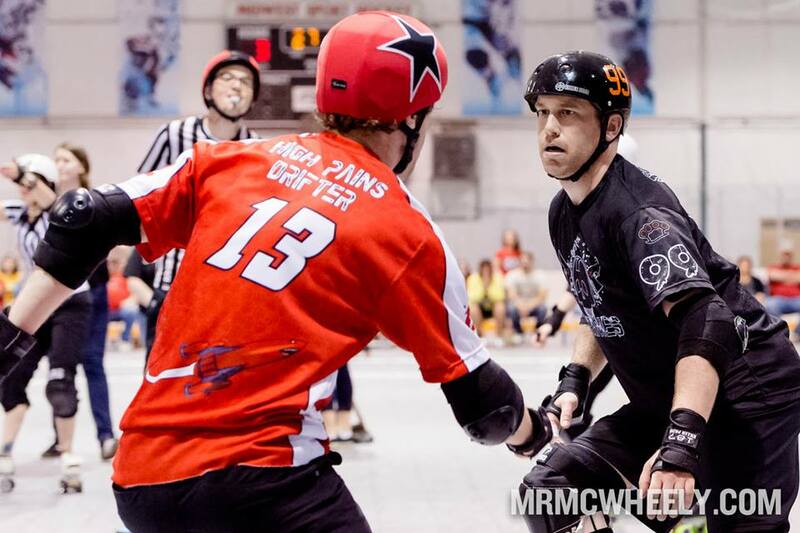 By hobby, he is an announcer and digital content producer for St. Louis-based Arch Rival Roller Derby. 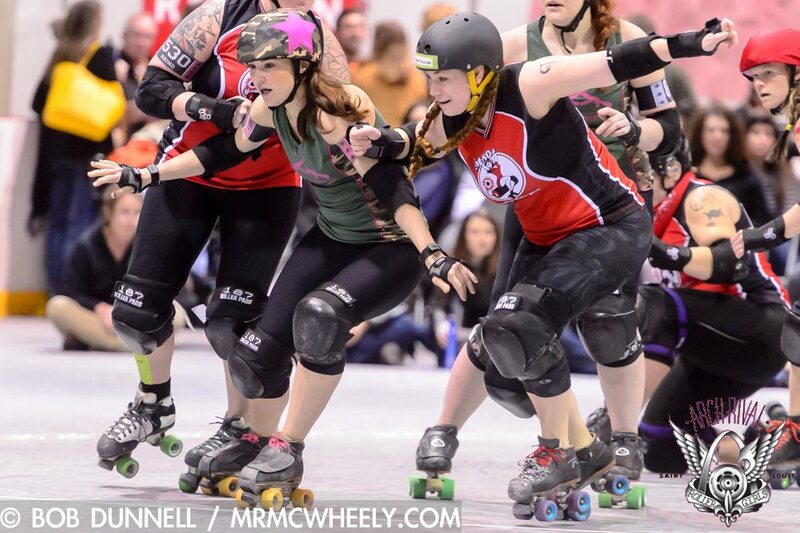 Also a webcast announcer for post-season roller derby tournaments on wftda.tv. Yep, this Illinoisan primarily writes about derby, covering Arch Rival, the St. Chux Derby Chix and the STL GateKeepers men's league. He also writes about St. Louis Surge women's basketball, St. Louis Lions women's soccer and other sports topics.